We went early in the morning to watch birds but it turned out to be a morning of listening to birds. 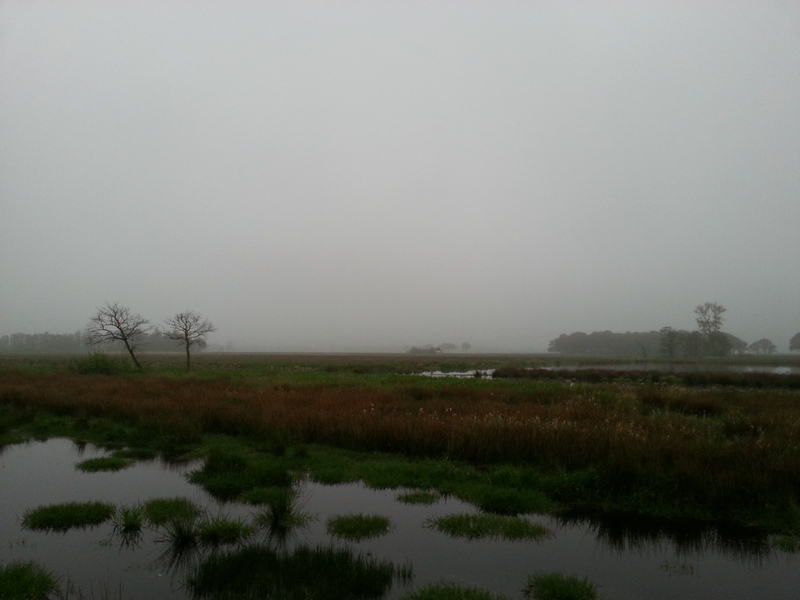 It was rather misty and we saw few birds. The notable exception being a crane (Grus grus) which is exciting because they are very rare here, and six Great Egrets a bit further down the road where the bridge crosses the stream.